Availability: Shipped in 1-2 business day. Delivery timing can be upto 9-11 days. Cube-tastic develops hand-eye coordination, concentration, memory, focus and logic skills. The rounded corners, smooth movement and BPA-free design make Cube-tastic fun and safe for both children and . Cube-Tastic uses 3D Augmented Reality technology and a free app to teach you how to solve the cube in under 60 seconds! Cube-Tastic develops hand-eye coordination, concentration, memory, focus, and logic skills. 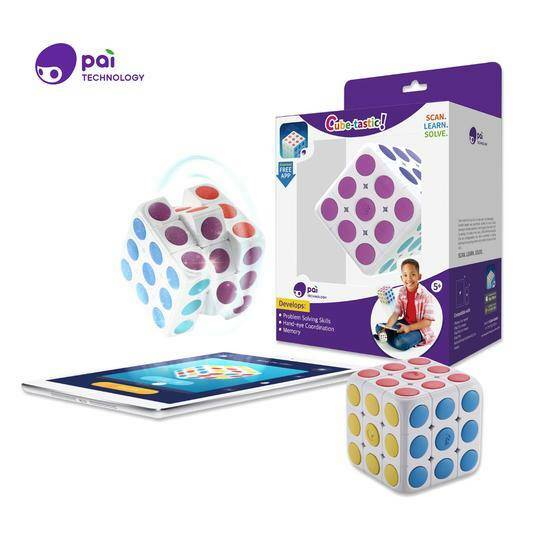 BPA free, smooth movement, and rounded corners make Cube-Tastic fun and safe for both children and adults. Countless possible combinations provide endless play. A free companion app is available for both iOS and Android devices. Please note: Items not in stock will be backordered.